Thanks to today’s technology, ways to learn are not limited. Back then, you needed to pay for information which you can get for free today. Having to attend boring lectures that seem like never-ending, then having to memorize the course in order to get highest marks. This doesn’t seem much fun does it? How are people expected to learn or train their brain, without any interest for what they’re doing? In order for people to learn, they’ve to remove the boring and add fun. This is where brain games such as the amazing under-rated puzzle based game called ” Brain Lines: Cognitive Puzzles ” come in, as it can help train and test your brain power. Think of brain games as gym for the brain. No matter how great your abs are, you’ll still have to visit the gym from time to time in order to maintain your abs. Same goes for the brain. It is important to have at least one brain game installed in your iPhone or other smartphone device, so that you can maintain your cognitive skills. Not only will brain games help you learn, but also improve your memory and make learning new stuff much easier. 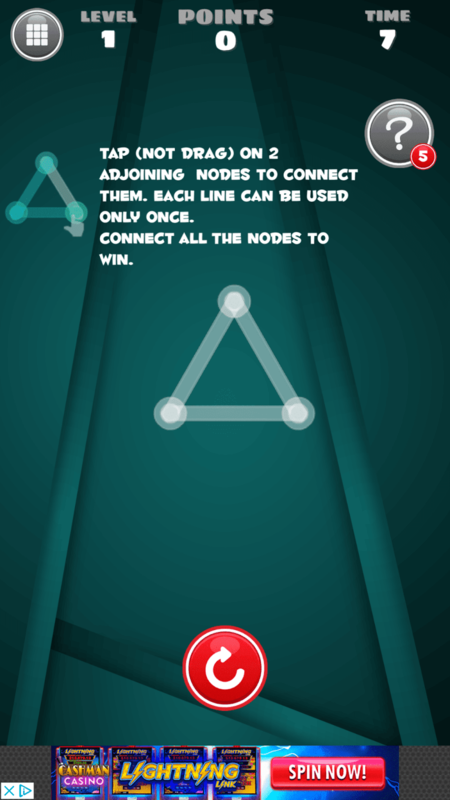 Brain Lines: Cognitive Puzzles is a free brain game for iPhone, developed by Alex Schelowski. It is a game that will test your brain power. By playing this game, you’ll make sure your cognitive skills are maintained by making your brain work, which will help prevent issues related to your brain from arising in the future, such as bad memory. What makes this game great is the fact that it’s free to play and doesn’t require you to pay a single penny. The game contains over 250 challenges, which will test your brain power and sharpen your mind, while you’re having fun. How to play Brain Lines? “Simplicity is the ultimate sophistication”. The objective of Brain Lines is very simple. Your goal is to connect all of the lines by tapping each dot. Sounds easy enough right? Well that’s where you’re wrong. Brain Lines may seem like a very easy game judging by it’s description, unfortunately that’s not the case. As much as it may seem simple, the game varies from simple to difficult, depending on the stage you’re in. Before connecting the lines, you’ve to make sure you don’t repeat a line or else its game over. Hence, you cannot just click on any dot/line, as you’ve to think carefully about which line or dot to choose in order to complete the puzzle. 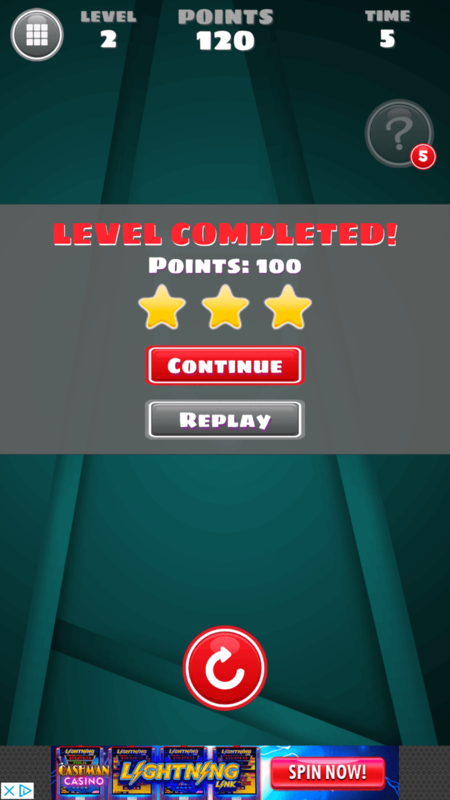 After completing the objective, you gain stars – which are based on how fast you complete each cognitive puzzle. The game basically helps train your brain by making you solve challenging puzzles, which make use of your cognitive abilities. You make your brain work in the process, giving it a solid workout which in return, improves your cognitive skills such as ability to focus, problem solving, memory, reading etc. Why you should play Brain Lines? Hence it is safe to say that playing games is GOOD for your brain. By playing brain lines, you can stimulate your brain and improve connectivity in the brain regions responsible for memory and strategic planning. There many free brain games for iPhone available which all serve the same purpose, however they don’t come close to Brain Lines, as what makes Brain Lines unique is the fact that it is simple and easy to figure out the controls/objective. Brain Lines is a great game to improve and train your brain power, especially if you’re too lazy to get out and exercise, or don’t get time to sleep well, which are alternative and natural ways to improve brain power. 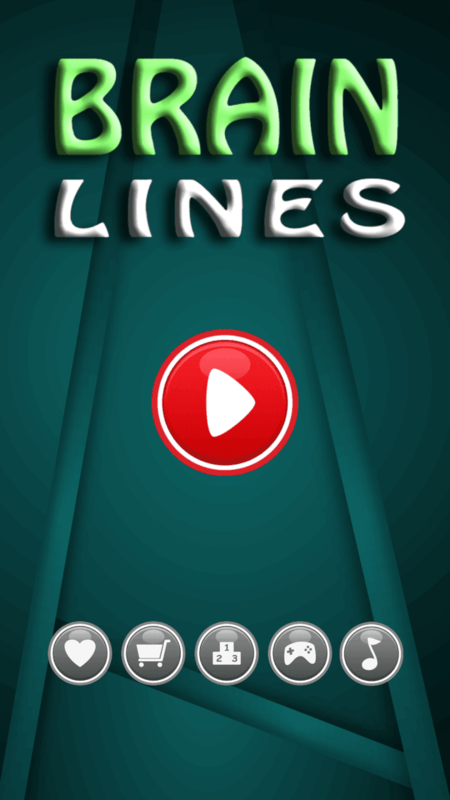 With Brain Lines, you just have to install the game from iTunes on your iPhone or other iOS device and can play anywhere on the go, whenever and wherever you like. Conclusion: Do make sure to install this game, even if you believe you don’t have bad cognitive abilities as it is fun and you’ll want to play more and more after playing it for the first time, while giving your brain a solid workout. Where as, if you have bad cognitive abilities, you’ll surely see some changes after playing this game.